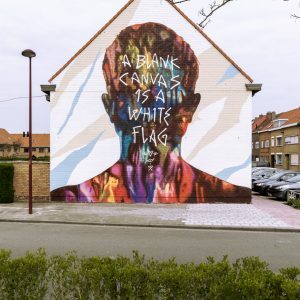 Get ready boys and girls… Here we go with a stunning and unbelievably creative new way of painting murals. 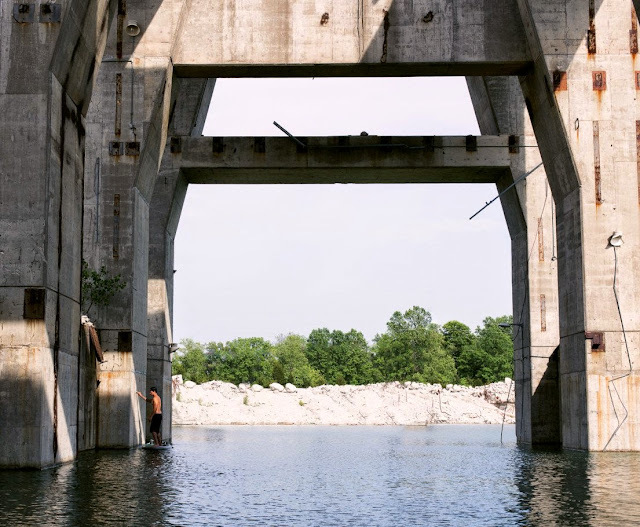 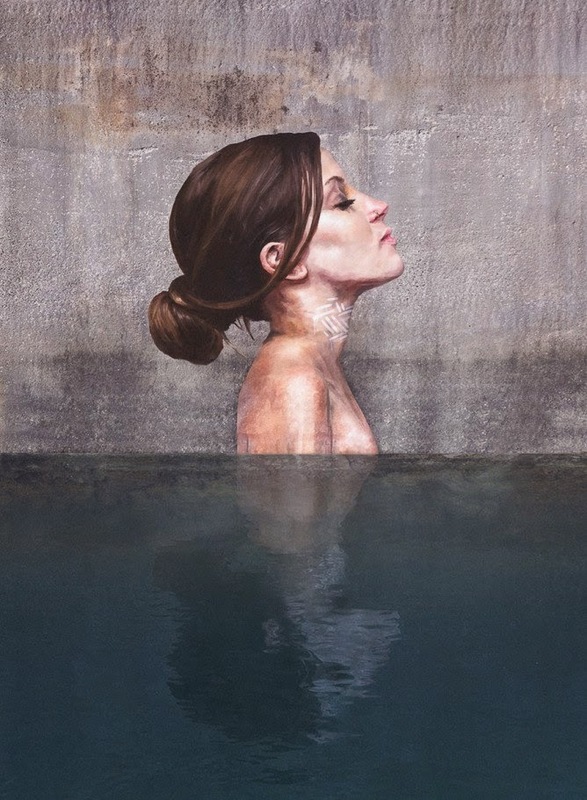 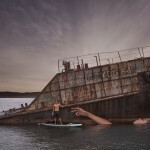 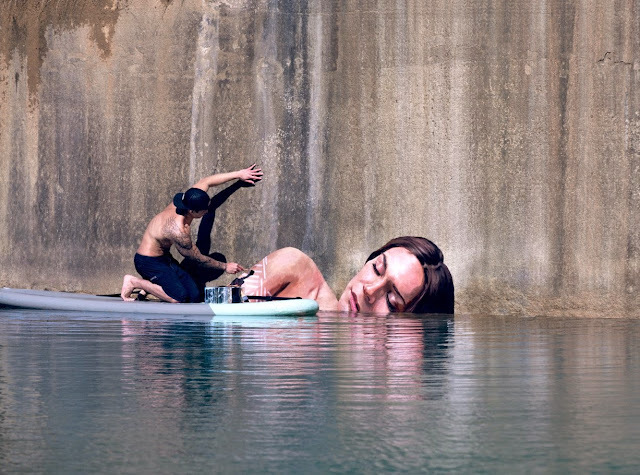 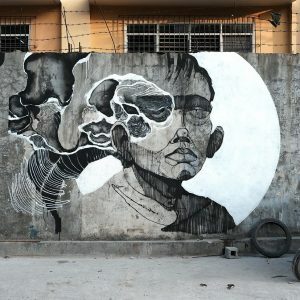 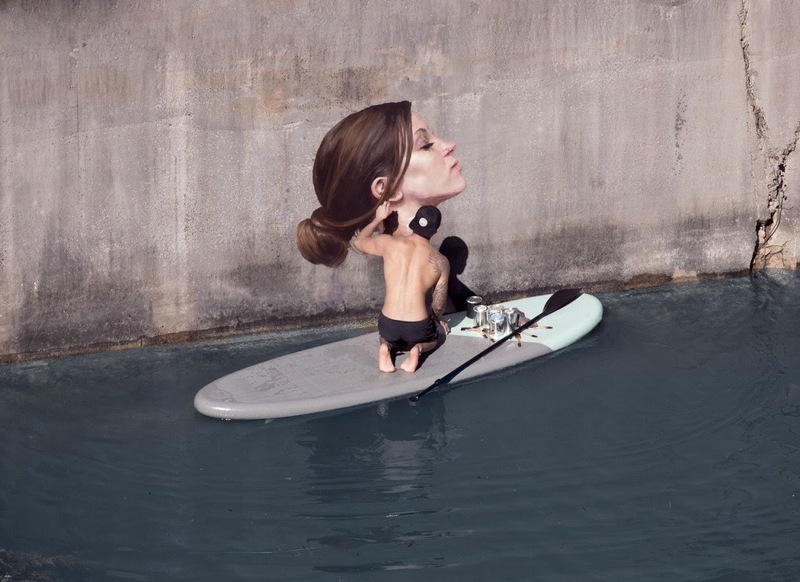 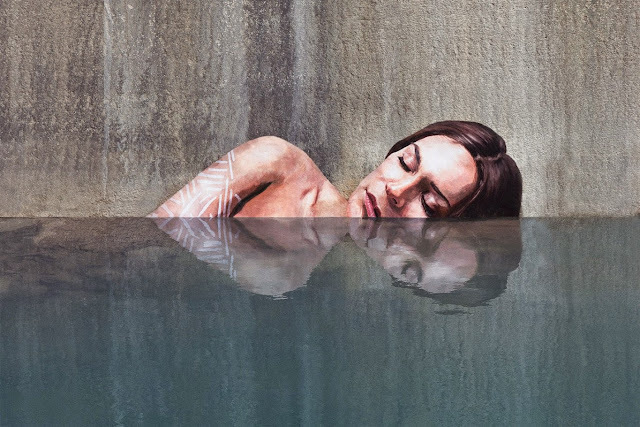 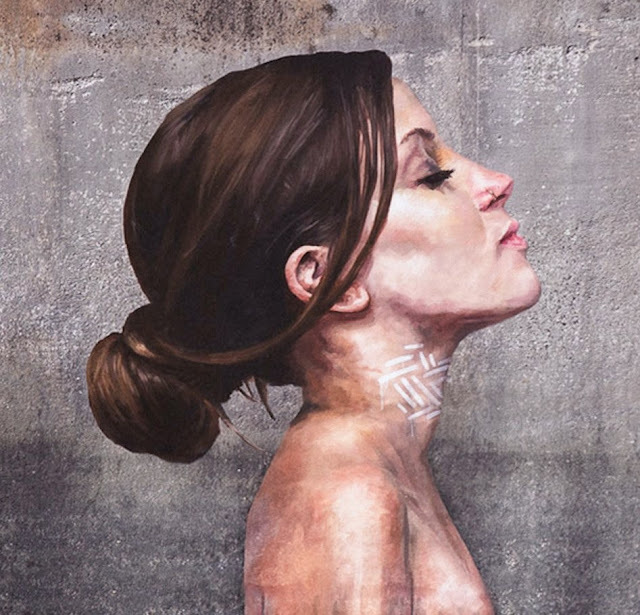 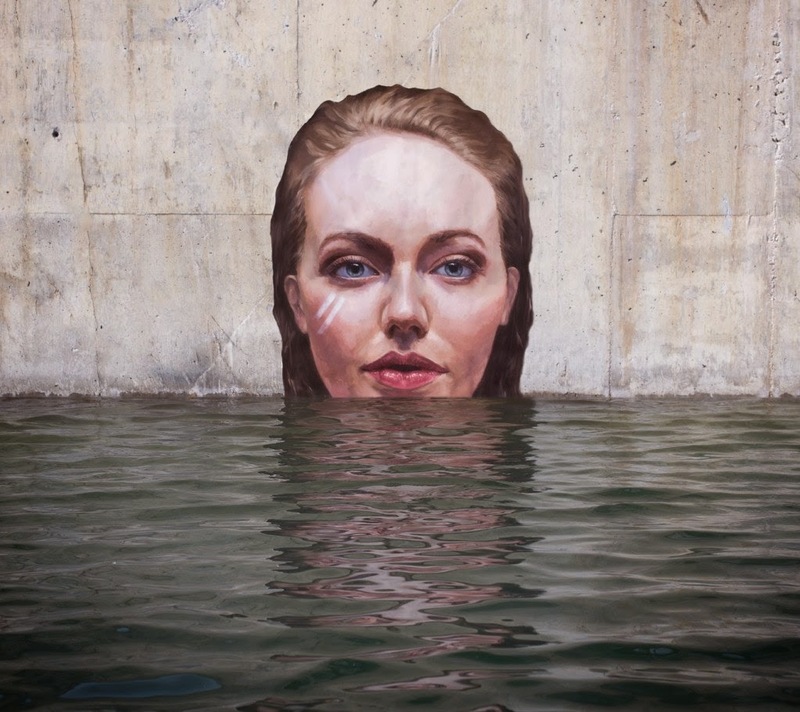 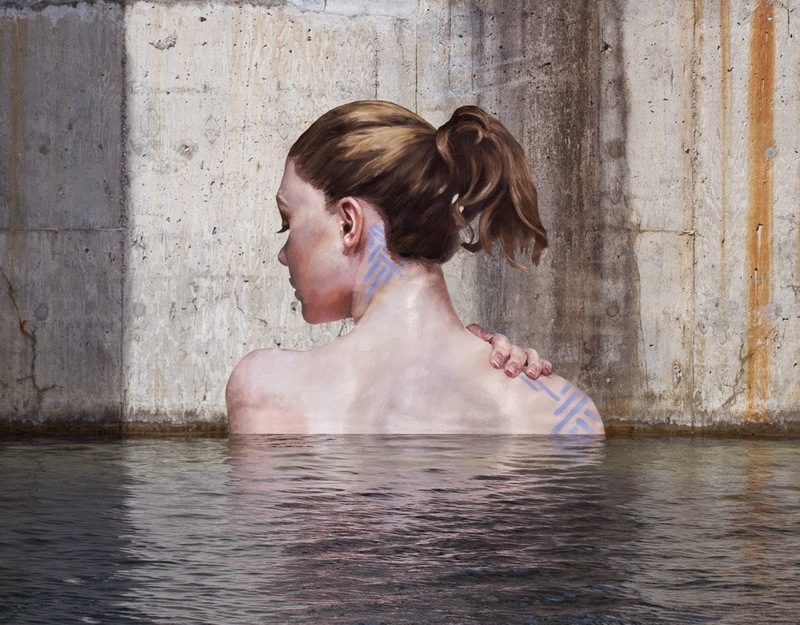 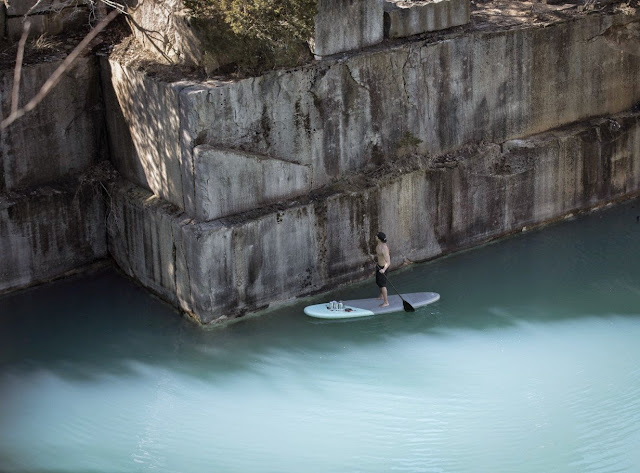 Meet Sean Yoro aka Hula, a NYC-based artist which decided to grab his surfboard, a bunch of acrylic paints, and get as far away from the street as possible!! 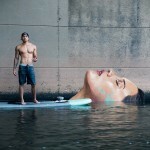 This was definitely a genius move by Hula. 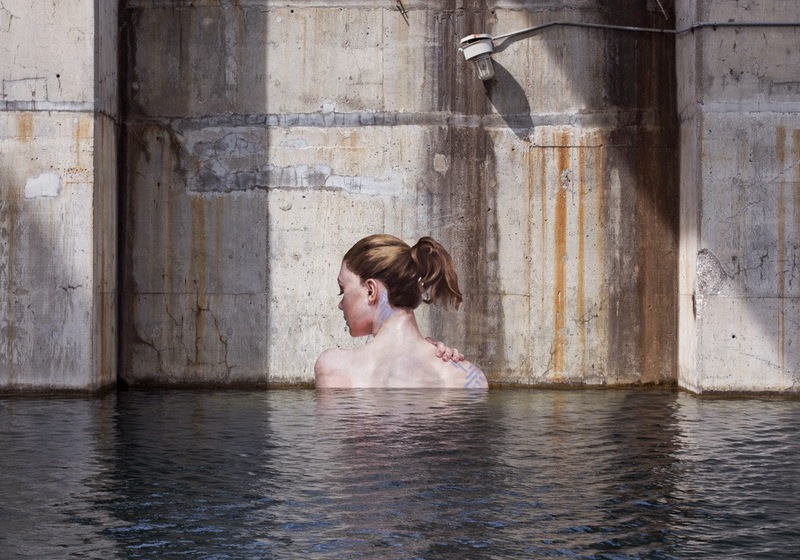 The result is simply breathtaking and beautiful! 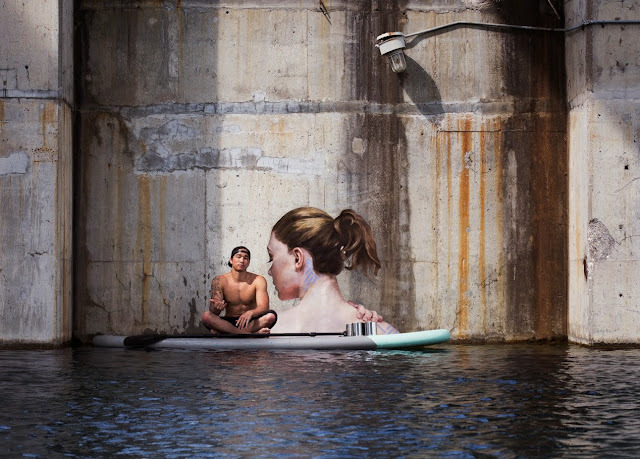 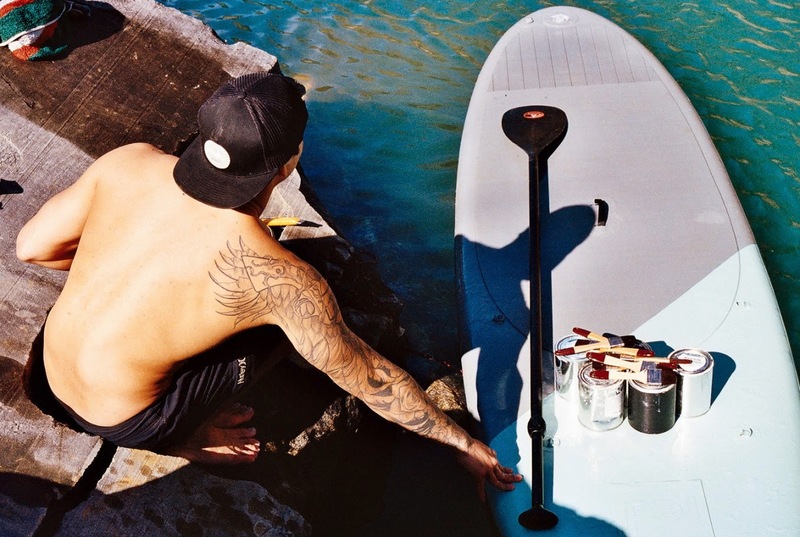 In equilibrium on his surfboard, the Hawaii-native artist brought to life a series of beautiful portraits which perfectly integrates with the ocean. 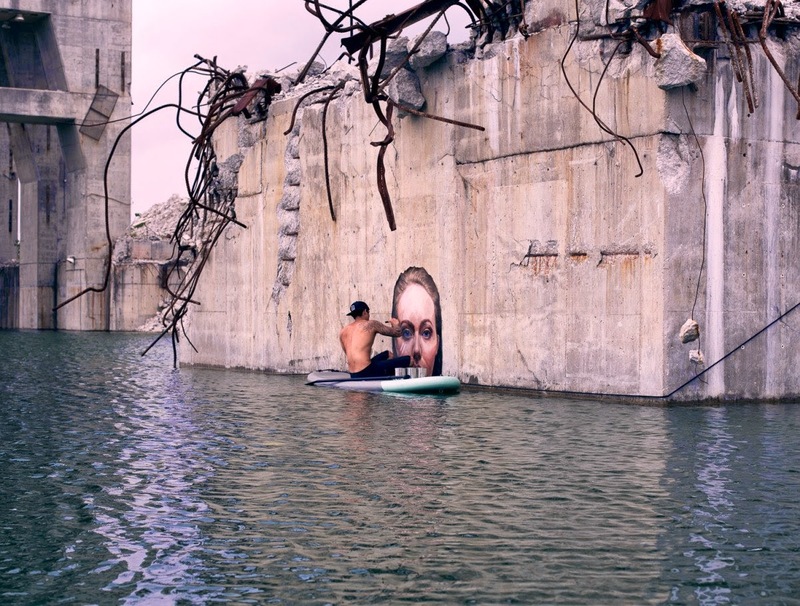 Everyone will forever be wondering if the rest of the women are hiding under the water. 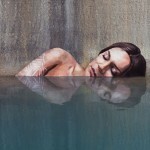 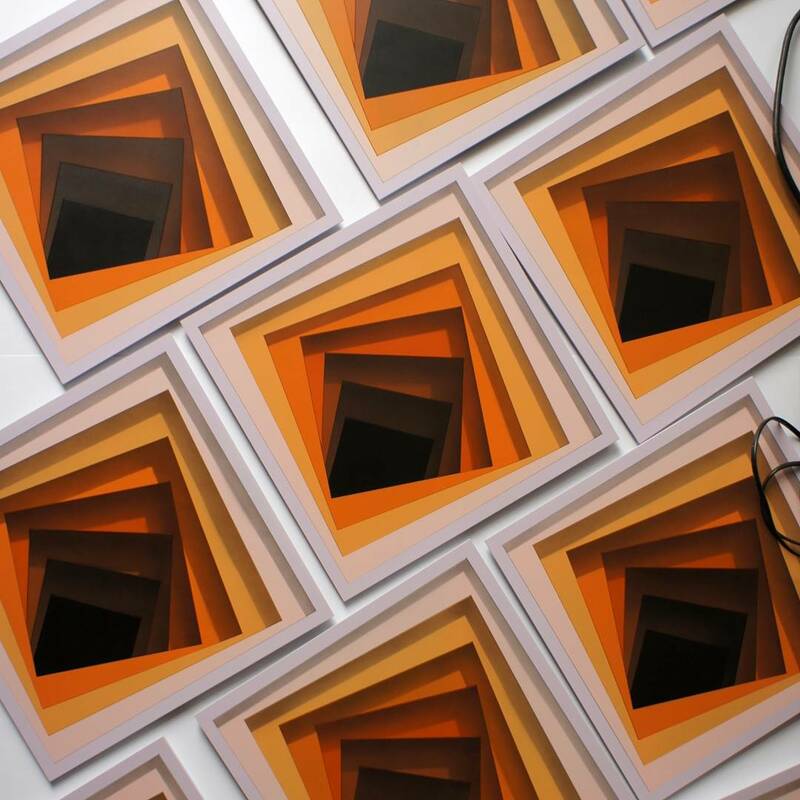 Continue reading for more images and as usual keep your eyes peeled on the StreetArtNews for more exclusive updates.